Ibotta is an App that you download on either an iOS or Android devices. It’s available only in the United States as of October 2016. After you install Ibotta you can start earning Cash Back right away. It’s very simple to use and available at over 500,000 retail locations. 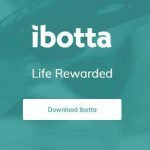 Ibotta offers Cash Back Rewards at over 300 retail chains, movie theaters, restaurants, convenience stores, pet stores, home improvement stores, and pharmacies nationwide. 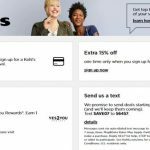 To see if your favorite store is currently offering rewards here’s a list of some of the retailers. This is just a few of the retail stores for a complete list Visit Ibotta Support Center. 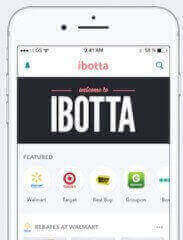 Before you go shopping to your favorite store open the Ibotta app. Review the current items offering Cash Back Rewards. Check off the items you are planning to purchase inside the app. This is also a great way to create a list of what you need before going shopping. You don’t want to forget something on your list or miss out on a great deal. Purchase everything you have checked off in the Ibotta app. After you have completed shopping make sure you keep your receipt for proof of purchases. In order to redeem your rebates scan your receipt. You will then have to scan the UPC of the items you want to receive Cash Back for. Ibotta will match the items you purchased to the rebates you selected and give you the cash! You’re busy and you don’t have time to download a separate app for every store where you shop. Instead, use Ibotta to earn Cash Rebates on the best brands, products, stores, restaurants, movies, and more. Rebates Cash Back Rewards will be deposited into your Ibotta account within 48 hours. Link Retailer Loyalty Cards for easier redemptions of rebates. Retailers that are Preferred Partners will automatically prompt you to use store Loyalty Card number after opening Ibotta. You must link your Loyalty Card to the retailers in your Ibotta app before going to retailers to receive rebates. It is best to link your Loyalty Cards as soon as possible, preferably 24 hours before shopping. Prior to shopping, find rebates you will want to cash in on. 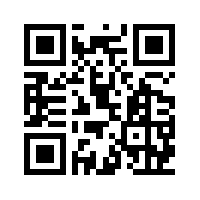 Scan your Loyalty Card or provide a phone number at checkout. That’s it! You should receive a confirmation of your purchased within 48 hours of the purchases. Before you start shopping online open Ibotta app and find stores that offer Cash Back rebates. Top online retailers offer at least a 3% cash back on your purchases. Some of the retailers include Amazon, Hotels.com, Uber, and Jet just to name a few. His name is Bryan Leach, Ibotta headquarters is in Denver, Colorado. Ibotta got its name from the term “I bought a…” pretty clever, don’t you think. As of July 2016, Ibotta announced they paid users over $100 million dollars through their app. Pretty impressive for a business that just started in 2011. Coupons are great and they can save you a ton of money, but what if you didn’t have to clip them out of newspapers. What if they were available right at your fingertips and very easy to redeem. Ibotta makes it easy to find rebates for retailers that are located near you. They also offer rebates on items such as beer, wine, and spirits that can be purchased at restaurants or at retailers. Some offers are valid on Any Brand of food which includes store brands. I bet you can’t find coupons for fresh produce in the newspaper. Yes, they offer rebates for different fresh produce such as tomatoes, peppers, and bananas. They offer so many rebates on all types of products from food, liquor, electronics, pet food and so much more. Pros and Cons that we have found about Ibotta App. Let us know what you think about Ibotta and what the Pros and Cons are for you in the comment below. Ibotta is great for Everybody! Yep, Invite your family, friends, co-workers, neighbors, everybody you can think of. It’s not fair to keep this kind of Savings and Fun all to yourself. 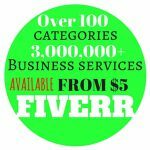 Create an Ibotta Team and you can help each other earn more cash. Make a fun game out of it and see who can earn the most in one week. If you are on a tight budget and need to learn how to save some money, try Ibotta out for a week and see how much money you can save. If you are like most people who go food shopping at least once a week, you can really earn some savings. Don’t wait any longer to Try Ibotta out for yourself you really have nothing to lose. Well, maybe some Extra Cash you will be losing. Please leave a comment below if you Like or Dislike Ibotta we would like to know Why either way. Stop Clipping Coupons! It’s time to Ibotta and Save Money. You don’t have to spend endless hours looking for coupons to clip from the newspapers anymore. All you need is your iOS or Android device to Cash in on the Savings. Before going shopping check out your Ibotta App and check off the items you are planning on purchasing. This is also a great way of writing a shopping list before you head out. The Cash Rebates range from .25 cents up to $10.00 on certain items. Ibotta offers several ways to Save Money on things You Already Buy. Like grocery, pet food, electronics and so much more. Don’t forget about the Money Saving you can earn while shopping online. Ibotta is a total package for Saving Money any way you shop. The Savings start adding up you can withdraw the cash via PayPal, Venmo or Retailer Gift Cards. 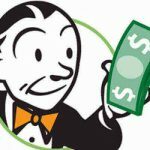 Ibotta offers Bonus Rebates! If you redeem unique rebates in a certain amount of time, you can receive an additional Cash Bonuses in your account. This is not something you have to keep to yourself Invite Family & Friends to join in and increase your Cash Rebates. Create an Ibotta Team and save money together and faster. Bonus Rebates do change from month to month so make sure you keep checking them. 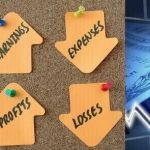 Make sure you share this article with your Family and Friends so you can help each other save money. 1. About “Link a loyalty card”, does it work like Samsung Pay, Google Pay, Android Pay or Apple Pay? If not, then how it works? 2. How about the security level of “Link a loyalty card”? 3. Let’s say I have $20 Cash Reward in Ibotta account-> then how I can withdraw? as gift card such as Amazon gift card, visa/credit gift card, American Express gift card,…? Can I use $20 Cash Reward to purchase new items? Thank you for sharing nice app. I will be very happy to answer your questions. 1. The Link a Loyalty Card is not for payment it’s for the rewards program your local stores offer. Such as CVS, Walgreen or Rite Aid where you have the cashier scan your card to receive members discounts. 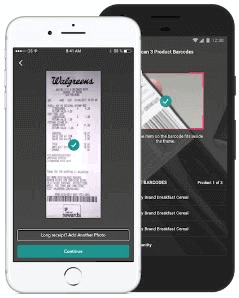 If you link your card to Ibotta you don’t have to scan your receipt when you make purchases. Ibotta already knows that you made the purchase and will give you the discount. I always check anyway to make sure everything worked. 2. Security is good but with anything that you use be aware, they only have your Loyalty Card information. 3. 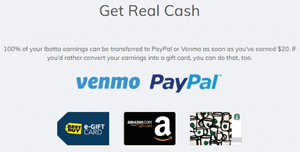 You can withdraw the cash via PayPal, Venmo or Retailer Gift Cards. I hope that answers your questions. 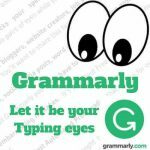 I hope you enjoy using Ibotta. I love Ibotta! I use this extensively when grocery shopping. They make it very easy, as you said all you have to do is snap a photo of your receipt and the money is given back to me through PayPal. I didn’t realize you could use it for so many different companies. Thank you so much for this information. Oh Yes, Ibotta has offers at many retailers which adds up to more savings. When you buy gift cards at certain retailers you get cash back. it’s not just for groceries which a lot of people believe. It’s great if you have to make a quick stop at the store and don’t clip coupons when you get home you can still save on your grocery bill. 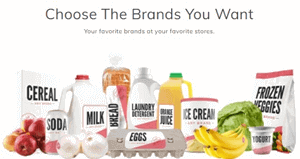 If you like Ibotta you should give ShopKick a try it just makes grocery shopping fun. You earn Free Gift Cards to your already favorite stories. 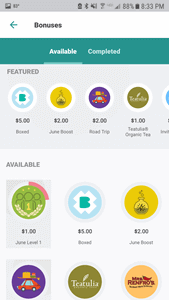 What a cool idea – an app that pays you to shop! No more cutting or ripping a voucher or coupon off. The world of technology really is changing our habits, including shopping. I like the fact you can use this for online shopping too. Ibotta will be adding more stores soon. There is another app that I use that is in the UK it’s called Checkout 51. I also use a fun app that you don’t have to purchase items but still are rewards. It’s called Shopkicks which is fun and easy to use. You redeem points for gift card for many retail store. I wrote a review on Shopkicks hope you check it out. 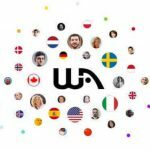 Being familiar with the Ibotta App and all that is involved with this program, I agree that it is a sound way to generate some income for oneself on the Internet. People tend to shop visiting stores and since Ibotta is partnered with so many well-known stores, why not earn a little money on the side done through purchasing needed products for the household? It is a bit of an issue not being able to redeem your purchased offers as rebates until you have $20 in the Ibotta account. I gather that this is because they want people to participate in this venture consistently. This is offset however by the fact one would receive $10 just for signing up. 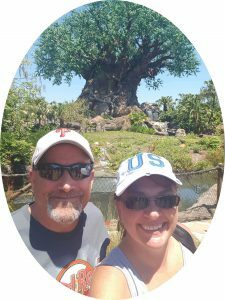 I do believe however as a way to earn serious money online that there are more beneficial programs out there. Since print newspapers have gone the way of the dinosaur, this program presents a genuine way to use the App and get discount coupon savings using that method. Glad you are using Ibotta to save money. 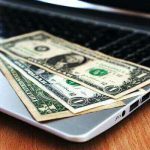 There are several other ways to save money on and off the internet. We share several other ways to save on our website What is the Shopkick is another fun way to save.